Anchor Steam Chili: Go Niners! In our house football season means chili. 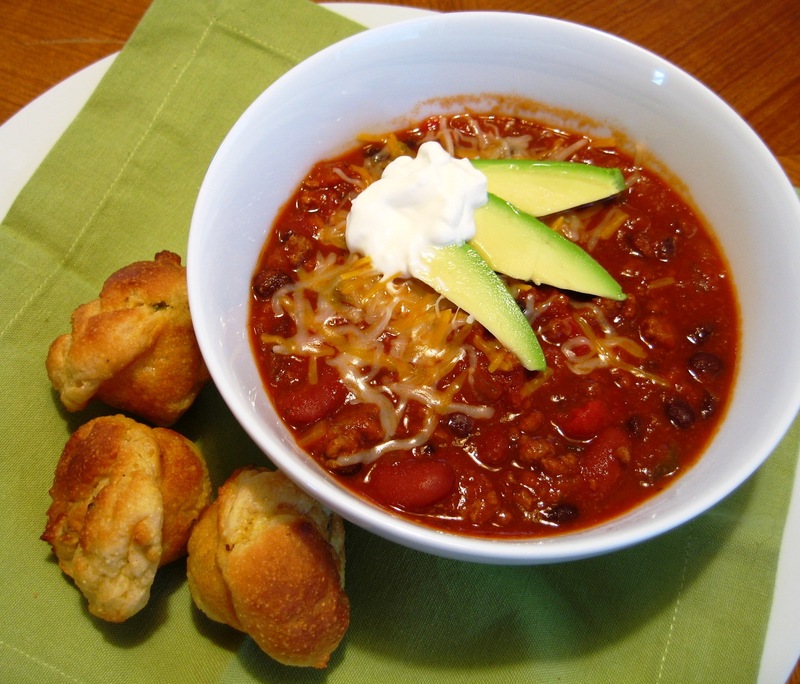 In honor of the San Francisco 49ers NFC championship game today, I’m posting one of my favorite recipes: Anchor Steam Chili, made with San Francisco’s own Anchor Steam beer and – today – served with red and gold corn muffins. I can’t take credit for this recipe, Lucy Maytag came up with it. Because it’s printed on a 10+ year-old photo copy in my recipe file, I can’t even name the source. Apologies to the cookbook author I am stealing from! If anyone recognizes it, please let me know. Here goes … and Go Niners! At one time during the gold rush days (Go Niners! ), San Francisco had more than two dozen steam breweries. (The steam beer process was developed to get around The City’s lack, at that time, of cold storage necessary for lagering the pilsner-type beer preferred by Americans.) By 1965, San Francisco’s unique steam breweries had dwindled down to one, the Anchor Steam Brewing Company, and it was about to quit business when Fritz Maytag came to the rescue. It is only natural that Maytag and his wife, Lucy, have experimented with using steam beer in cooking. Lucy Maytag says that “cooking with steam beer is like cooking with wine. Steam beer adds a little something to the end product, but doesn’t dominate it.” Here is the result of some Maytag research into making chili with steam beer. In a 4 qt. saucepan sauté chuck together with onion and garlic until meat is just brown, stirring with a fork while it is cooking. Pour off excess grease (there shouldn’t be any of you’re using grassfed beef). Add other ingredients except the beans, putting in only one bottle of Anchor Steam. Mix well. Cover, reduce heat to low, and simmer about 45 minutes, stirring occasionally. Add beans with their juice and, if you like a soupy-type chili, a second bottle of Anchor Steam. Continue cooking for another 10-15 minutes. Serve in heated bowls and top with a mound of grated cheddar cheese, dollop of sour cream and sliced fresh avocados. I also serve corn muffins and a fresh green salad with this. Enjoy! Cook’s Notes: Use Porter House for a darker, slightly richer flavor. In California, the dried chile poblano is widely called a chile pasilla. They are dark, can be almost black, are roughly triangular in shape, and have a richer and often more pungent flavor than California or ancho chiles.